Used to show all of the published Contacts in a given Category. 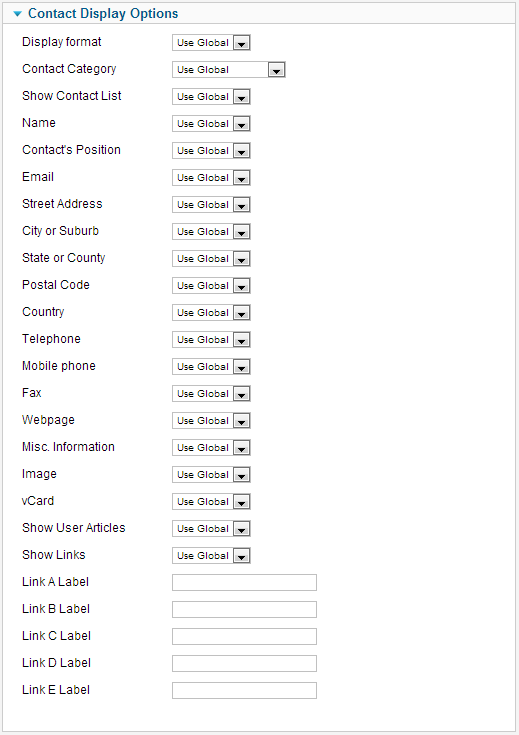 Note that Contact Categories are separate from Article Categories. Contacts and Contact Categories are entered by selecting Components/Contacts. See Contact Category Manager and Contact Manager for more information. 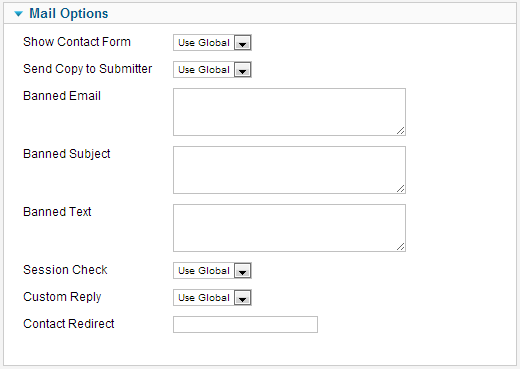 Click the Menu Item Type Select button and then click the List contacts in a category link under Contacts. Used to show contacts belonging to a specific Category in a list layout. This layout requires that you select a category. This is done in the list box shown below. # Contacts in Category. (Use Global/Hide/Show) Whether to hide or show the count of contacts in each category. 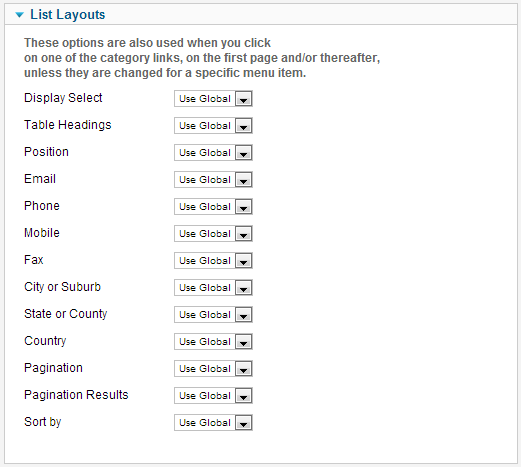 Use Global - Chooses the default value. Name - Order by the name of the category. Sort Name - Order by the Sort Name. Ordering - Order by the order in the backend table. The Contact List layout has the following Integration Options. 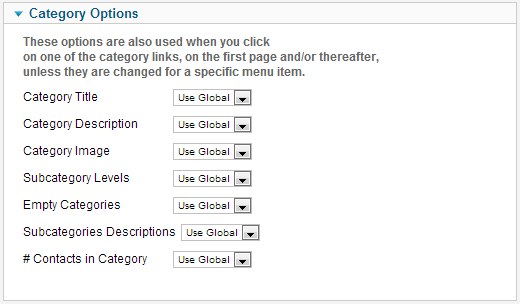 To create a new Category see Contact Categories Manager: Add or Edit. This page was last modified on 11 June 2013, at 03:02.